Runaway, shadowy a killer is wandering on the road to Killing of intoxication, his/her code name 'Angel of Death'. When an old multi-millionaire was found brutally murdered in Hollywood, his wife was victim of dharshan, the police thought it was a robbery. But after the failure to find the criminals, the case is closed. After a decade, almost the same type of assassination took place in three different countries of the world. In every case the victim is old, rich and newly married. And their wives were brutally victim of dharshan. The first was guessed that these may be the work of 'Capikat Killing'. But soon it was known that these killings done by a horrific female killer. Police named she 'Angel of Death'. Who's going to be her next Victim? And is it possible to stop the Angel of Death? Read on to know this onubad ebook, the story book is full of Romance and Violence. 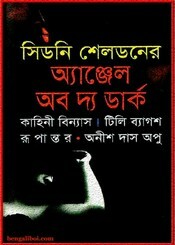 The ebook pdf has 297 pages with 7mb file size and translated into Bangla by Anish Das Apu.